At least one in eight Americans thinks being without internet access for more than a couple of days is "very difficult". 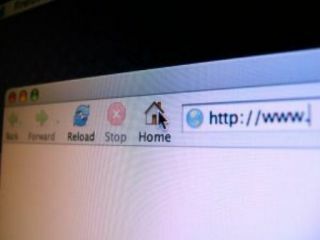 Many also hide the truth about their internet use from friends and family, according to a new study. A typical addict is a single, white, college-educated male in his 30s, who spends more than 30 hours a week on "non-essential" computer use, the Stanford University School of Medicine study found. More than eight per cent said they hid their use from partners and friends, and most realised that they needed to cut down on their time online. "We often focus on how wonderful the internet is; how simple and efficient it can make things," said Dr Elias Aboujaoude of the Stanford University School of Medicine, one of the researchers behind the study. "But we need to consider the fact that it creates real problems for a set of people," he said. Nearly six per cent felt their wanderings in cyberspace adversely affected their relationships with other people, and almost eight per cent said they went online to escape real-world problems. Behaviour like this, the researchers said, shows similarities with other types of addictions such as alcoholism. Other parallels include hiding their online behaviour. "The issue is starting to be recognised as a legitimate object of clinical attention, as well as an economic problem, given that a great deal of non-essential internet use takes place at work," said Dr Aboujaoude.